Heading north, you pass under an old gas company pipeline before beginning a winding climb to Swede's Cut. 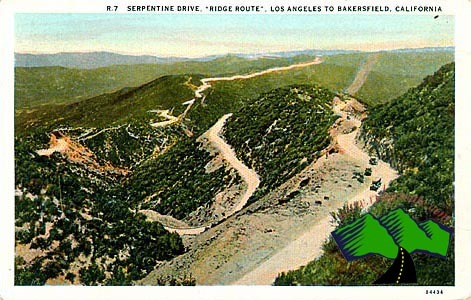 Many old postcards were sold showing this section of road as the highway gained elevation. In the distance the same view also showed how the Ridge Route was built on the top of the mountain peaks.